Group Classes are of mixed age groups and hold up to 8 students, unless otherwise noted. Private classes include customized schedules and locations based on course and student needs. 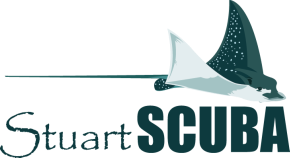 For pricing and availability of all other specialty courses, please contact Stuart Scuba for more information. Pricing for Professional Courses do not include agency application and membership fees, insurance or equipment rentals.